The Lynch Law Group Welcomes John J. Heurich, Jr. The Lynch Law Group is pleased to announce that attorney John J. Heurich, Jr. has joined the Firm as an Associate. 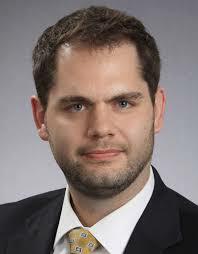 John is a 2013 graduate of Duquesne University School of Law. He served for two years as a law clerk for the Honorable President Judge Thomas R. Dobson of the Court of Common Pleas of Mercer County, Pennsylvania. John most recently worked in the Pittsburgh office of a regional litigation firm, where his practice was concentrated on civil defense with a primary focus on insurance defense and commercial motor vehicle defense. “John will assist in several practice areas and our clients will benefit from the intelligence, dedication and work ethic he brings in serving their needs. We are pleased to have him on The Lynch Law Group team,” said Dan Lynch, managing partner of the Firm. For more information on John Heurich, read his full bio here. This entry was posted in Legal Watch, Announcements and tagged new attorney. Bookmark the permalink.